Hello friends! As I shared in an earlier post, I have started working with a running coach. I am training for a June marathon – Grandma’s in Duluth, Minnesota. My goal is to go sub-4 and now I’m less than a month out from race day. Time is flying and I’m getting excited! 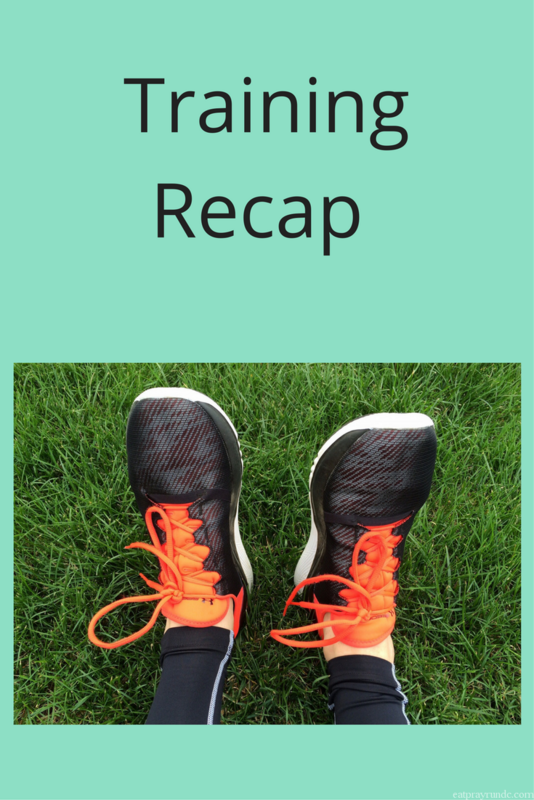 I share my training recap every other week. I hope you’ll join in and link up! You can always follow my progress daily on Instagram, where I share all my runs. Tuesday – Two miles easy, 8×3 minutes hard, one mile cooldown. The hard was supposed to be in the 8-8:30 range. My splits were on average 8:15 – the weather was PERFECT and that made a huge difference. Thursday – Just over nine miles plus core work. Friday – Five “easy” miles – they didn’t feel easy but the run got done! Saturday – My second 20 miler of this cycle! Average pace 10:25 – it was HOT and HUMID and really quite hard. Still not acclimated to the heat but getting there! Sunday – Two slow recovery miles plus core to end the week. Monday – Three easy plus core. 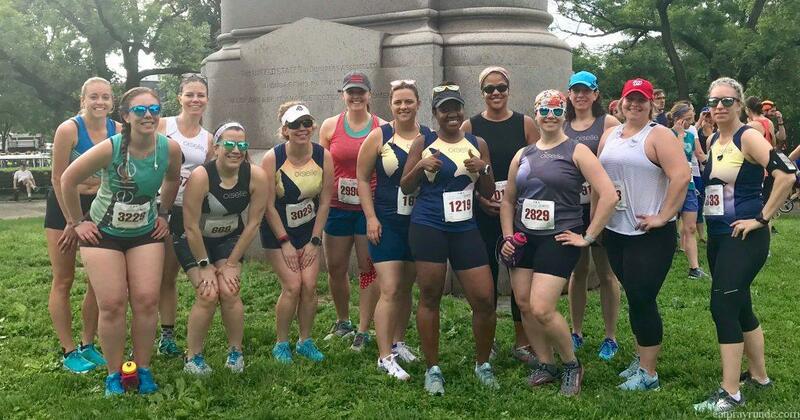 Thursday – Five easy miles plus core. Friday – OFF! I had two days off for the first time in forever. I didn’t even know what to do with myself. Saturday – Three easy miles because my long run was moved to Sunday this week. Sunday – I had planned to run the Capitol Hill Classic and use that as part of my 18 mile long run. I got in 8 miles beforehand – but was dehydrated and so felt progressively worse during the run. After, I felt so bad so I called it – 14.6 miles for the day. I am feeling really good – despite some tough, hot runs and some challenges. I am also getting SO excited about a BREAK FROM RUNNING AFTER MY RACE! And yes, that deserved all caps. More pre-race thoughts and goals to come soon, but for now, the plan is still sub-4! Looks like a great two weeks of training Courtney! Sorry you didn’t feel well on the run, but the heat and humidity can do that. I almost feel like this time of the year is worse because we’re just not acclimated and use to it, and that takes time. By August and September I’m just so over it. I miss running though even in crappy weather! Hopefully it won’t get too much hotter before Grandma’s. Oh yeah it was definitely the weather – but mostly my poor planning – I should have carried water! Yes, totally. Better to be safe than dehydrated! I feel like we’ve gone from winter to summer without much spring. I know we had some gorgeous spring days, but not very many in a row. It’s hard to get used to the hummidity. Oh man – this past Sunday was the worst. SO humid and so warm. Yuck! !